Cowries – They signify the earliest medium of exchange in the State. The background indicates foreshore sands common to all parts of the State. Fishing Activity – It denotes the traditional occupation of the people and inhabitants of State. Coconut Palm – This represents one of the main agricultural products of the State. The Three lines – These represent the present, the past and the future. Badagry collectively referred to as IBILE and covering an area of 358,862 hectares or 3,577 sq. km. which represents 0.4% of Nigeria’s territorial land mass of 923,773 sq. km. The dominant vegetation of the State is the swamp forest of the fresh water and mangrove swamp forests, both of which are influenced by the double rainfall pattern of the state, which makes the environment a wetland region. Generally, the State has two climatic seasons: Dry [November-March] and Wet [April-October]. The drainage system of the State is characterized by a maze of lagoons and waterways, which constitutes about 22% or 787 sq. km. [75.755 hectares] of the State’s territory. The major water bodies are the Lagos and Lekki Lagoons, Yewa, Ogun, Oshun, and Kweme Rivers. Others are Ologe Lagoon, Kuramo Waters, and Badagry, Five Cowries and Omu Creeks respectively. Lagos State is the smallest state in Nigeria yet, it has the highest urban population, which is 27.4 % of the national estimate [UN-Habitat]. According to the 2006 National Census, Lagos State has a population of 9,013,534 in relation to the National count of 140,003,542. However, based on the UN-Habitat and international development agencies’ estimates, Lagos State is said to have about 24.6 million inhabitants in 2015. Of this population, Metropolitan Lagos accounts for over 85% on an area that is 37% of the land area of the State, and the fact that Lagos population is growing 10 times faster than that of New York and Los Angeles, and more than the population of 32 African nations combined, the State population is expected to hit the 35 million mark in 2020. Lagos, Nigeria’s lagoon city, Africa’s leading NEPAD City and World’s sixth megacity is a bourgeoning global urban agglomeration which attained megacity status in 1995 when its population soared to over 10 million people, per UN-Habitat. From its global city ranking of 31st in 1985, Lagos population exploded to 13.4 million in Y2000 to become world’s sixth megacity and Africa’s foremost urban centre and hub of national, regional and global socio-economic and political activities. The Megacity region, which approximates to 17 of the State’s 20 Local Government and 37 Local Council Development Areas and impinges imperceptibly on four local government areas of the adjoining Ogun State of Nigeria, is geographically disjointed [maze of islands/mainland], located on poor soil [wetlands] and overwhelmed by its growth [6% – 8% urbanization rate]. Lagos State is essentially a Yoruba environment inhabited by its sub-nationality of Aworis and Ogus in Ikeja and Badagry Divisions respectively, with the Ogus being found mainly in Badagry and the Awori forming the indigenous population of Lagos where there are, nevertheless, other pioneer immigrant settlers – Edos, Saros, Brazilians, Kannike/Tapa, etc collectively called Lagosians but more appropriately referred to as the Ekos. For Ikorodu and Epe Divisions, the local populations are mainly the Remos and Ijebus with pockets of Eko-Awori settlers along the entire State coastland and riverine areas. However, despite its Yoruba indigeneity, the State is a global socio-cultural melting pot attracting Nigerians, Africans and foreigners alike. The situation is attributable to its sound economic base, strategic maritime location and socio-political importance which induced a high rate of migration to the State. With a territorial land area of 351,861 hectares, Lagos State is made of five administrative divisions, namely: Ikeja, Badagry, Ikorodu, Lagos [Eko] and Epe. The divisions were created in May 1968 by virtue of Administrative Divisions [Establishment] Edict No. 3 of April 1968. The Divisions are further divided into 20 Local Governments and 37 Local Council Development Areas respectively, in accordance with Nigeria’s federal structure and the need to bring governance, development and participatory democracy to the grassroots. Ikeja Division, a predominantly Awori enclave and the cradle of its civilization, consists of eight local government authorities namely: Agege, Ifako-Ijaiye, Kosofe, Mushin, Alimosho, Oshodi-Isolo, Somolu and Ikeja which serves as both the seat of the State Government and the divisional headquarters. The LCDAs include Agbado/Oke-Odo, Agboyi-Ketu, Ayobo-Ipaja, Bariga, Egbe-Idimu, Ejigbo, Igando-Ikotun, Ikosi-Isheri, Isolo, Mosan-Okunola, Odi Olowo-Ojuwoye, Ojodu, Ojokoro, Onigbongbo and Orile Agege. Ikeja is the state capital and administrative center of Lagos State Government. The division has a concentration of both medium and large scale industries within the Mushin-Isolo-Oshodi and greater Ikeja industrial complex, while also having a large agricultural area in its rural Alimosho, Kosofe and Agege districts. A fledging Central Business District [Alausa/Agidingbi] and Nigeria’s biggest and busiest international airport [Murtala Mohammed Airport] are situated in the divisional headquarters, Ikeja. There are over fifty settlements in the division notable among which are: Isolo, Isheri-Oshun, Ikotun, Isheri-Olofin, Meiran, Ejigbo, Egan, Ketu, Ojota, Shangisha, Oworonshoki,Mushin, Abesan, Magodo, Egbe, Igando, Idimu, Ayobo, Iju, Ifako, Abule Egba, Agboyi, Ikosi, Okota, Somolu, Ipaja, Abesan, Abesan, Oregun, Isheri-Oke, Oshodi, Oke-Afa, Ojodu, Ogudu, Bariga, Ilupeju, Obanikoro, Akowonjo, Agege, Ijegun, Alagbado, Aboru, Olota, Ojokoro, Ikola, Ajasa, Baruwa, Ewu, Abule-Onigbagbo, Odi-Olowo, Shasha, Mende, Ipodo and Alimosho. Badagry Division is a zone of culture mix between the Ogu and Awori as well as an international border region. It consists of four Local Governments, including: Ojo, Amuwo-Odofin, Ajeromi-Ifelodun, and Badagry as well as six Local Council Development Areas namely: Iba, Ifelodun, Olorunda, Oriade, Badagry West and Oto-Awori. Badagry serves as the divisional headquarters. The Division enjoys a pride of place in Nigerian history, especially as regards early European contacts with West Africa. Being a coastal town on the western littoral, Badagry was a major slave outpost and market during the pre-colonial era and also the entry point of Christianity in Nigeria being the place where the Bible was first preached in 1842, under the Agia Tree. The original name of the town, Gbagi, a contraction of the word ‘Ogbagleme’ means a ‘farmland near the swamp’ in Ogu language. The word, ‘Ogbagleme’ was later coined to Agbadarigi by Yoruba settlers and later corrupted to Badagry by the Europeans. Major settlements in the Division include: Badagry, Ajara [a collection of villages], Iworo, Ajido, Akarakunmo, Gbaji, Aseri, Egan, Agonrin, Ahanve, Epe, Pota, Mowo, Itoga, Shibiri, Ekunpa, Aradagun, Kankon, Mosafejo, Gayingbo-Topa, Apa, Moba, Ropoji, Oranyan, Tafi-Awori, Yeketome, Pota, Seme, Iyagbe, Ajegunle, Aiyetoro, Festac Town and Satellite Towns, Iba, Kirikiri, Agboju-Amuwo, Okokomaiko, Ojo, Amukoko, Alaba-Oro, Ijofin, Igbanko, Imore, Ijegun, Ibeshe, Oto, Ijanikin, Ilogbo Eremi, Ilado, Abule-Ado and Odan Group of Villages [Soba, Onireke, etc]. Ikorodu lies approximately 36 km north of Lagos and derives its name from ‘Oko-Odu’ meaning vegetable farm. This farmland was the first place where Oga, the crown prince of a Remo King and supposed founder of the town settled hence, the reference to the town as Ikorodu Oga. The Division consists of Ikorodu Local Govenment, and five Local Council Development Areas including: Igbogbo-Baiyeku, Ikorodu North, Ikorodu West, Imota and Ijede. By virtue of its location, the Division serves as the gateway to the country’s hinter-land. It is also an active commercial/energy center and national broadcasting gangway as the transmitters of the Federal Radio Corporation of Nigeria [FRCN], Voice of Nigeria [VON] and those of the State Broadcasting Corporation, [Radio Lagos/Eko F.M. and LTV], are located there. The population of the Division consists of predominantly of the Ijebu and Remo groups that inhabit Ikorodu, Egbin, Igbogbo, Imota, Ijede, Maya Adio, Odogunyan, Isiu, Igbokuta, Ewu-Elepe, Baiyeku, Oreta, Ofin, Gberigbe, Erikorodo and Igbalu. However, along the riverine fringes of Ipakodo, Ibese, Ebute, Majidun, Itowolo, and other coastal communities, there is a strong presence of Eko-Awori population. The indigenes of Ikorodu Division are mostly traders and farmers with fishing thriving mostly along the Lagos Lagoon foreshore on the Cradoo [Ikorodu] Lake waterfront, Ipakodo, where a Nigerian Ports Authority Lighter Port Terminal is situated. This is the core of Lagos State and a highly urbanized Division. 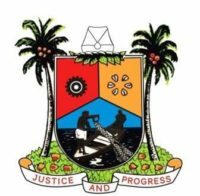 It consists of five Local Government Councils, vis: Lagos Island, Lagos Mainland, Surulere, Apapa and Eti-Osa, as well as eight Local council development areas which include: Lagos Island East, Yaba, Itire-Ikate, Coker-Aguda, Ikoyi-Obalende, Apapa-Iganmu, Eti-Osa East and Iru/Victoria Island with the City of Lagos being the pivot of an ever expanding Megacity and the divisional headquarters. The center and the most developed of this island chain, Lagos Island, is called ‘Eko’ by the indigenes. The name ‘Lagos’ is a derivative of a Portuguese imposition of ‘Lagos de Curamo’ or ‘Rio Lago’ on account of its wetland topography and network of lagoons. The Island is the cultural watershed of the White Cap [Idejo] Chieftaincy and metropolitan Lagos with the Oba of Lagos as the paramount monarch and primus inter pares of the State traditional authorities. Lagos is the chief commercial, financial and maritime nerve-center of Nigeria with seaports at Apapa, Tin Can Island, Roro Terminal Ports and Ijora Container Terminal. It has an ever-expanding Central Business Disrict in Tinubu and Victoria Island. As the economic capital and major port of Africa’s most populous nation, Lagos has attracted immigrants from all over Nigeria and beyond, as well as commercial entrepreneurs and industries from Africa, Europe, Asia and the Americas. Major settlements in the Division are: Tarkwa Bay, Victoria Island, Iru, Lagos Island, Ikoyi, Obalende, Oto, Ijora, Apapa, Ebute-Meta, Yaba, Ido, Sangotedo, Mayegun, Ogombo, Ogoyo, Okun-Ibeju, Moba, Alaguntan, Ado, Langbasa, Ilasan, Igbo-Efon, Ikota, Itire, Coker-Aguda, Ikate-Elegushi, Ajiran, Ilasan, Tomaro, Abagbo, Igbo-Ejo [Snake Island], etc. The Division is made up of two Local Government Councils, namely: Epe, Ibeju-Lekki while the three Local Council Development Areas are: Lekki, Ikosi-Ejirin and Eredo with Epe serving as the divisional headquarters. It lies about 89kms north-east of the City of Lagos. Urakaloye was the man reputed to be the ancestral founder of Epe, a name derived from black ants, which invaded Urakaloye’s hunting homestead. Hence, the town’s name, Epe, means the forest of black ants. Epe Division consists of Epe, Orugbo-Iddo, Agbowa-Ikosi, Ilara, Odo-Ayandelu, Odoragunsin, Igbooye, Naforija, Igbodu, Ejinrin, Poka, Itoikin, Idotun, Ita-Oko, Omi, Temu, Ise and Debojo. Others are Apawa, Aba-Titun, Abomiti, Afere, Apakin, Abalaye, Origanrigan, Kayetoro Eleko, Yeunda, Okunraye, Keta, Arapagi, Aiyeteju, Okun-Folu, Osoroko, Olomowewe, Ibeju, Lekki, Akodo, Otolu, Magbon-Alade, Oriba, Iwerekun, Iberekodo, Idado, Okun Igando-Orudu, Tiye, Awoyaya, Ote-Omi, Bogije, Siriwon, Idaso, Orimedu, Olorunkoya, Ojota, Ode-Ifa, Ofin, Igbesibi and Igbolomi, among others. A peculiar feature of Epe is the presence of a long range of hills, which demarcates the coastal town into equal parts. However, in Ibeju-Lekki, artisanal fishing, sandy beach and coconut fringed Atlantic coastlines are distinctive features of the environment which has enormous tourism potentials. Fishing and farming form the major occupations of the inhabitants of the Division, which also includes the Eko Aworis. Lagos State plays a pivotal role in the Nigerian economy and as a nation’s commercial nerve centre, remains the focal point of economic activities. The Lagos Gross Domestic Product [GDP] accounted for 26.7% of Nigeria’s total GDP and more than 50% of non-oil GDP. Over 50% of Nigeria’s non-oil industrial capacity is located in Lagos. Lagos is also Nigeria’s financial hub with all major banks having their headquarters in the City. It is also home to the Nigerian Stock Exchange [NSE]. It accounts for over 80% of the country’s foreign trade flows, and generates over 50% of Nigeria’s port revenues. The estimated GDP of Lagos was put at N27.125trillion [$145.141billion] in 2016 by the Lagos Bureau of Statistics and is expected to rise to N628trillion [$157.728billion] by 2018 with projected average annual growth rate of 4.2% up to 2018. Lagos economy, with an estimated population of 24million is larger than any other economy in the ECOWAS sub-region despite the rebasing of Ghana’s GDP. Fuelled by Public-Private investments, as well as an estimated population of over 24million, Lagos diverse economy is the leading contributor to Nigeria GDP. A 10% growth is expected in the local economy as the State plans to widen the tax base and improve collection methods to boost Local Tax Receipts towards at least NGN360bn by 2017 up from N200bn in 2012, edging towards 80% of annual revenues from 70% of income in the late 2000. Lagos State remains the economic, financial and commercial nerve centre of Nigeria and the ECOWAS. Regionally, her Gross National Product [GNP] is three times that of any West African Country, thus making Lagos State ECOWAS economic hub and the springboard for innovation and development in Nigeria and sub-Saharan Africa. Largest market in Sub-Saharan Africa. Home to 70% of the Country’s total industrial investment and 65% of its commercial activities. Internally Generated Revenue accounts for over 60% of State’s annual budget skewed in favour of capital expenditure. Lagos State is the hub of Nigeria and West Africa’s regional financial system which is dominated by mega banks, insurance firms, micro-finance/community banks; discount houses; and the capital market. Indeed, the Nigerian Government’s vision 20:20:20 and the National Financial Sector Strategy [FSS] has envisioned Lagos as the nation’s financial hub with its automated headquarters of the Nigeria Stock Exchange, the largest and most active exchange in sub-Saharan Africa. In addition, there exist The Investments and Securities Tribunal established by the Investments and Securities Act [ISA], 2007 to adjudicate on all capital market disputes. The Lagos position as regional financial hub is acknowledged globally especially since ‘despite the relocation of the Central Bank of Nigeria’s [CBN] Headquarters to Abuja, Tinubu Square [Lagos Island Central Business District] still holds so much potential. As a further demonstration of this, Lagos State, as the gateway to Nigeria’s and ECOWAS economy, houses the headquarters/regional offices of national financial and professional regulatory authorities. The Federal and State annual Appropriation Laws [Budget] provides a range of fiscal measures to encourage new investments and existing ones to maintain high capacity utilization. For details, contact the Lagos State Ministry of Economic Planning and Budget, Block 19, The Secretariat, Alausa, Ikeja, or the Federal Ministry of Finance, Abuja. The Income Tax Relief Act grants corporate tax exemptions for a fixed period to companies that are considered beneficial and strategic to national interest by the issuance of a Pioneer Status Certificate. The relief covers a non-renewable five year period for pioneer industries and seven years for those located in economically disadvantaged areas. Investment tax credit on locally manufactured plants – 15%. By virtue of the Land Use Act CAP L.60 of 1978 which has has been enshrined in the Constitution of Federal Republic of Nigeria through S315, the management and control of land in any State of the Federation was vested in the Governor of each State of the Federation. In line with the extant law, the Policy thrust of Lagos State is to provide land at affordable rate with the provision of infrastructural facilities for residential, commercial, industrial, water front land and agricultural purposes. Leasehold interest of between 25-99 years with opportunity of renewal of such leases are usually created in respect of allocated land by the State.To ensure proper development of the State, well articulated Development Plans have been prepared to lay-out the following Government schemes for Residential, Commercial and Industrial purposes. To enhance effective and efficient implementation of the land policies, and also to ease the way of doing business in the State, land administration process has been computerized with the introduction of the Electronic Document Management Service [EDMS]. The Land Registry has been upgraded and restructured, and its business processes has also been reviewed tremendously. The laybout of the Lands Registry has been redesigned to ensure easy flow of processes and transactions which in turn leads t faster processing of documents. The work-flow interface with customers in all Directorates in Lands Bureau has been collapsed into four occasions: Applicant submits application – Applicant collects Demand Notice – Applicant submits revenue receipts – Applicant comes back to collect reistered title documents. Teslim Balogun Stadium, Surulere, Lagos.